Witness one of the greatest matches this season as Manchester United go up against home rivals Manchester City, this home derby will be fiercely contested game where the Manchester fans will come out in force to see their side win. Man United will be looking to avoid a repeat of last year as they lost at home, will the red devils secure a victory in front of their home crowd? Find your ideal package below and reserve exclusive Manchester United v Manchester City corporate hospitality tickets at Old Trafford, and witness this blockbuster clash from the best seats in the house, along with stylish corporate hospitality amid what will be an electrified atmosphere inside the stadium on this momentous occasion. 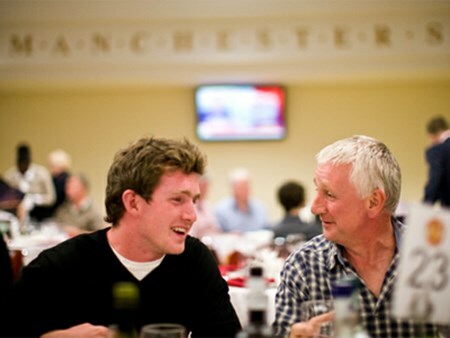 The Evolution Suite offers an unrivalled sense of the club's heritage, with magnificent panoramic views over the pitch as well as over the Quays and the area Old Trafford has grown from. The restaurant is one of the newest suites in the stadium, designed with the Club's illustrious history in mind and offers fine dining and easy, direct access to your seats from the restaurant area. The Champions Club hospitality package is all about the match seat, with excellent middle tier seating near the half way line, for those looking for the best place to watch the football. 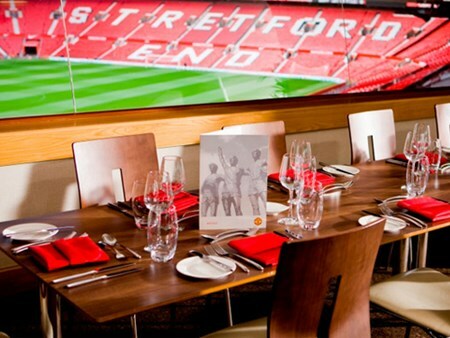 To complement the match seat you will also receive an all-inclusive dining and drinks package in one of our two Champions Club suites – the Sir Alex Suite or the Legends Lounge. Bookings can be made from 2 guests and upwards. Can't find your favourite Manchester United v Manchester City package?